Leadership is intentional and purposeful – you don’t stumble into it. Leaders understand their leadership is crucial to fulfilling their life purpose. The stakes are even higher for Christian leaders. Great leaders, both in old and contemporary times, thrived (and thrive) on the foundation of a solid vision. If you must make tangible impact and influence lives as a leader, you must develop a clear vision for your life. 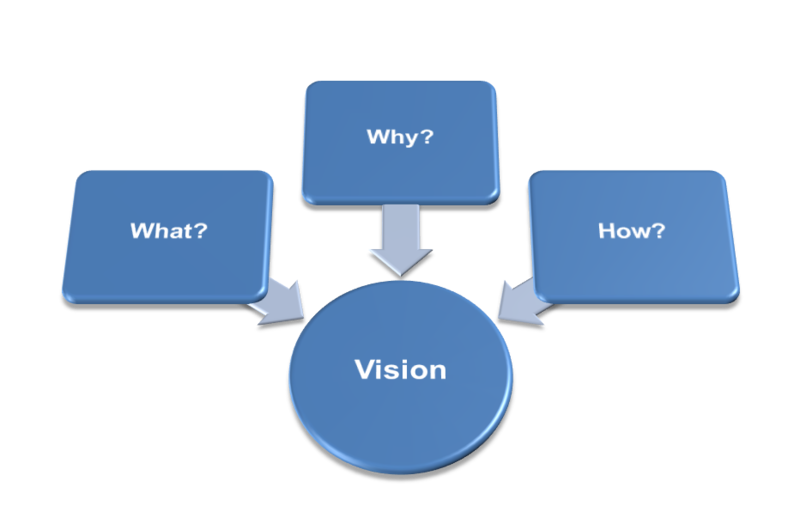 This post is the first of a 3-part article in which we will explore vision for leadership – the what, the why and the how. I spoke on these three elements at a European leadership conference two weeks ago in Cologne. The dictionary defines vision as “being in the state of seeing something.” The emphasis on ‘seeing’ in this definition is of particular importance in leadership. You cannot conceive until you perceive. And until you conceive, you cannot birth or bring to existence. Yes, tweet that! Vision is the platform on which you can fulfill purpose. It is the foundation on which personal growth can be realized. Ever wondered why many drift too soon, too far? Many a times, it’s for lack of vision. “Where there is no vision, the people perish…” Proverbs 29:18 KJV. Visionaries don’t stay idle. They don’t wait for events to unfold around them. They don’t settle for average. Instead, they’re always on a mission. Not passive, but actively engaged on purpose.Vision compels you to live awesome. What’s your vision in life? What’s your purpose? What’s your relevance? The questions are intended to challenge you. Take a moment to think about them. Vision leads to personal life goals. Your daily activities everywhere should add value to your purpose; otherwise you will waste time and energy. How do you describe vision? I want to read from you. Share your thoughts. P.S. Only 8 days remaining to download SELAH from Story Cartel for free in exchange for your honest review on Amazon. You also stand a chance to win one of three $10 Amazon gift cards. Each review goes a long way to help potential buyers make up their minds about purchase, so this is very important to me. Thanks for all you do.